What did Metro Nashville Public Schools get for $1 million? In the case of a student assessment program developed by a company that Schools Director Dr. Shawn Joseph liked, the answer may be: not much. As NewsChannel 5 Investigates previously reported, after Joseph's arrival in Nashville in 2016, he ordered MNPS staff to sign a deal with Performance Matters for its Unify student assessment platform. "In 2016, a transition team made up of local, state and national experts shared that Nashville needed to focus on student achievement -- with a sense of urgency," Metro Schools said in a written statement. Without giving any other company a chance to offer its services, Metro Schools signed the $1 million deal with Performance Matters, piggybacking on a deal the company had struck with Orange County Public Schools in Florida. After questions raised by NewsChannel 5 Investigates, MNPS admitted it violated state law when it piggybacked on an out-of-state contract. But our investigation also discovered questions about whether the Performance Matters contract was really utilized by Nashville teachers. That $72,000 bought "one assessment." "MNPS conducted a pilot on a small number of schools, a short pilot to test ease of use," the district's statement said. "The staff used it to administer one assessment. It worked well. The feedback from principals and teachers was good. So the district moved ahead to scale it up to the rest of the 86,000 students." Under that original contract, Metro Schools also agreed to pay Performance Matters $387,000 per year for 2017-18 and 2018-19 -- for all 86,000 Nashville students. In June 2018, Joseph's team brought a last-minute proposal to the school board, asking them to ratify the third year of that Performance Matters contract. But, now, the district admits it has no way of tracking how many teachers actually used the student assessment platform. NewsChannel 5 Investigates spoke to several principals who said they had never used the service -- and Metro Schools agreed that was possible, saying assessments using that $1 millon contract were "optional." "Usage was likely impacted by the fact that the district did not mandate an assessment administered through the platform," the statement said. For school board member Amy Frogge, that admission confirmed her suspicions about the million-dollar contract. "I have been told that not a lot of schools are actually using it," Frogge said. "If that is true, that is very problematic because we are spending a lot of money on a product that we don't need -- which was what frankly the employees were warning me about. That's very troublesome at a time when the district is very underfunded and asking for more money." 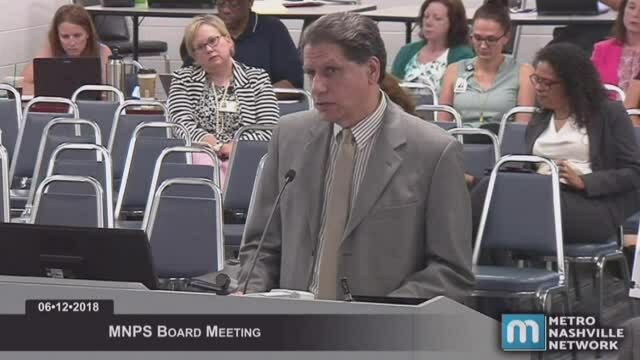 Now, despite having once insisted that the district had an urgent need for that no-bid contract, Metro Schools now says it has no plans to continue the service when the contract expires June 30, 2019. "We are exploring the possibility of utilizing the assessment component of Schoology rather than issuing an RFP," the district said. "We have a contract with Schoology and some schools are currently utilizing the assessment platform. We are trying to determine if that platform can meet the district’s specific needs."